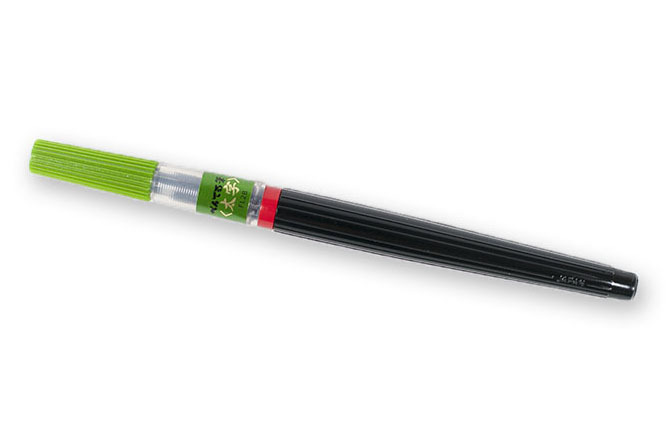 -Bold brush tip is ideal for big and bold lettering without generating blur. 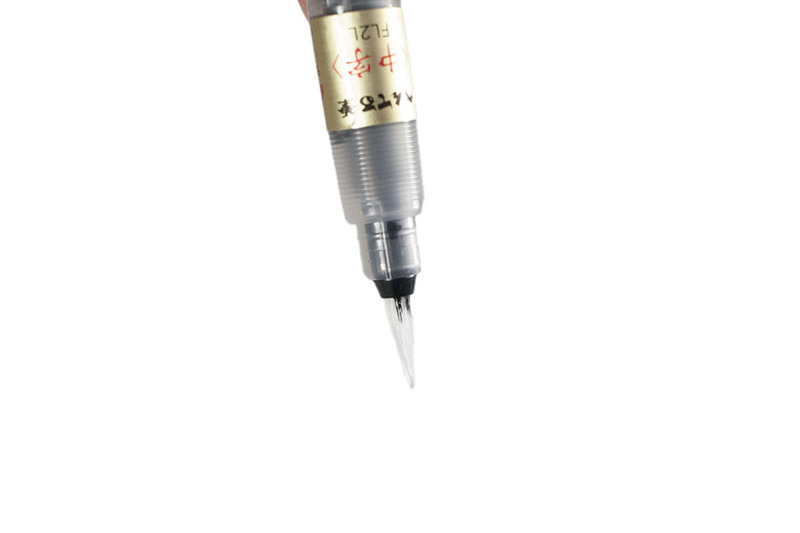 -Perfect for art, poster and display ad. 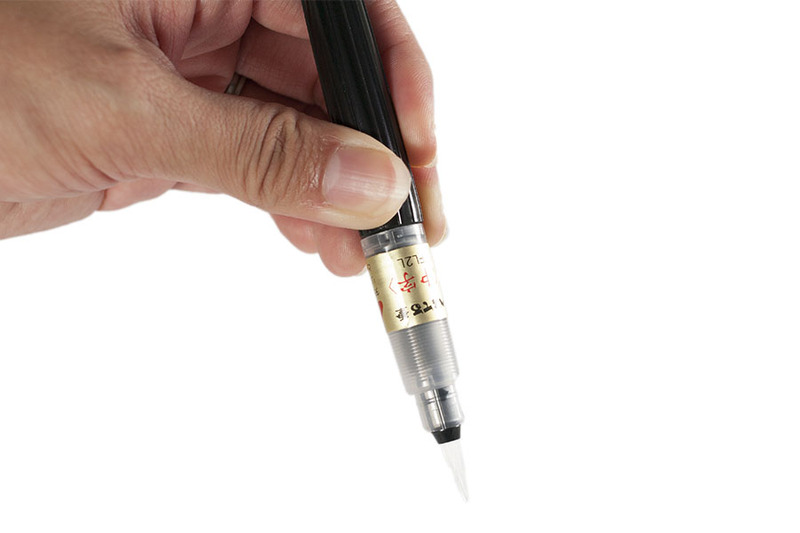 -Little bit hard brush tip is easy to control to writing. 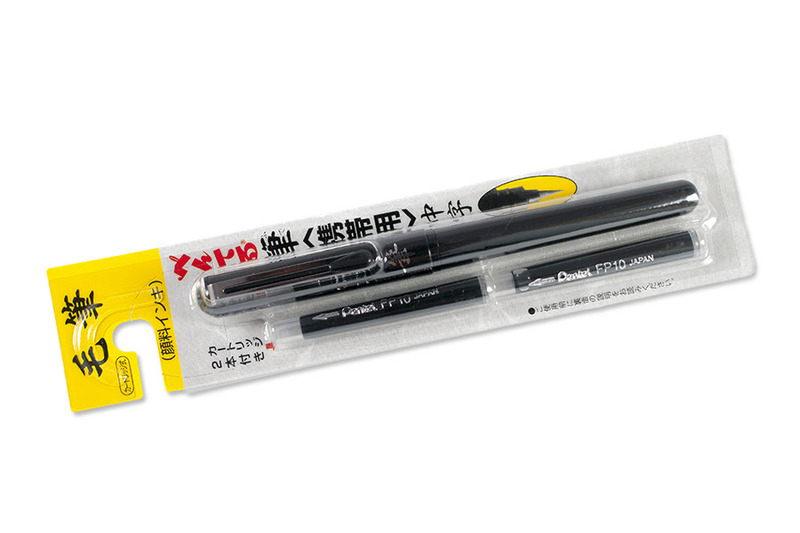 -Recommend to brush pen beginner. 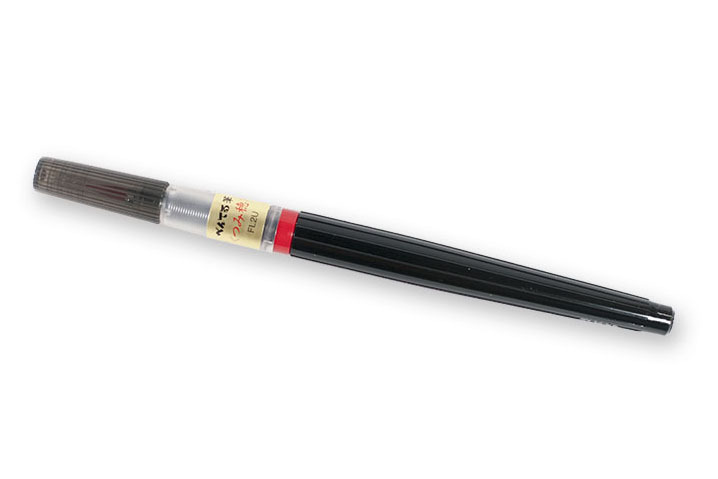 -Standard size brash tip is ideal for all the artwork. 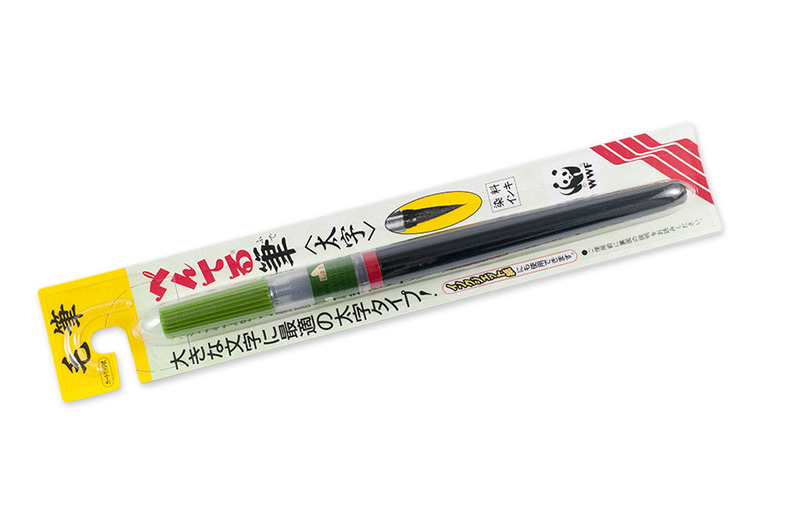 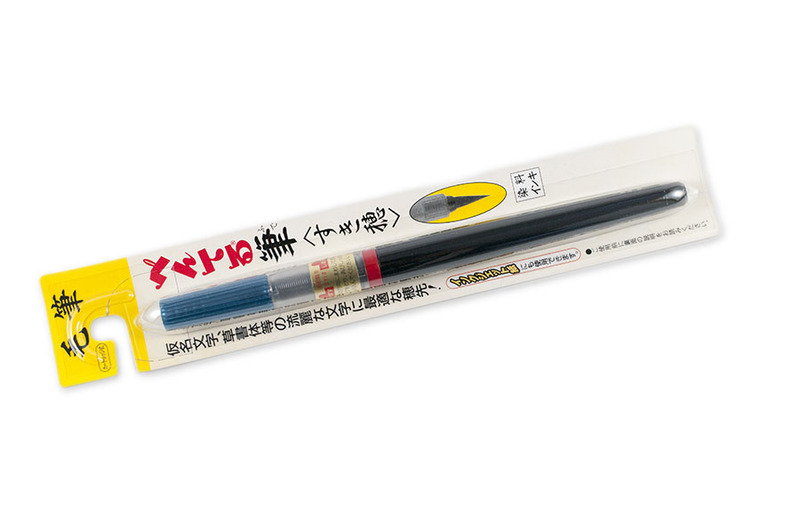 -Little bit soft brush tip is ideal for cursive writing. 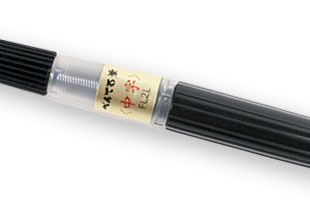 -Soft writing letter or art gives warm impression. 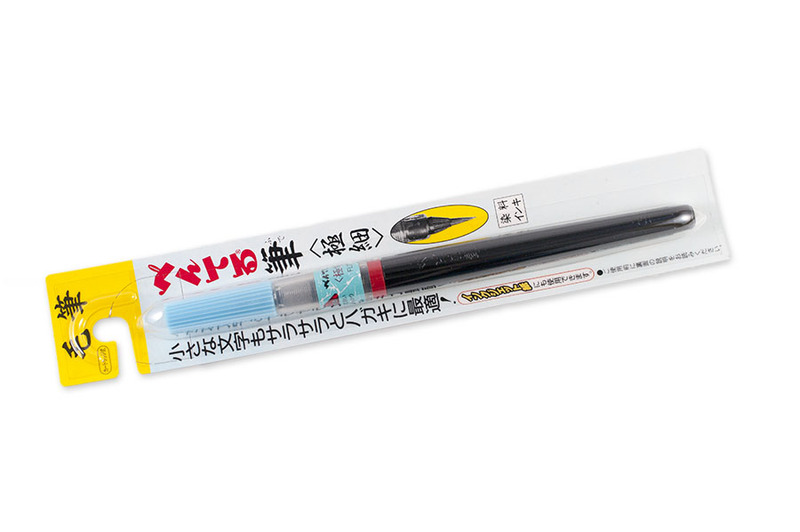 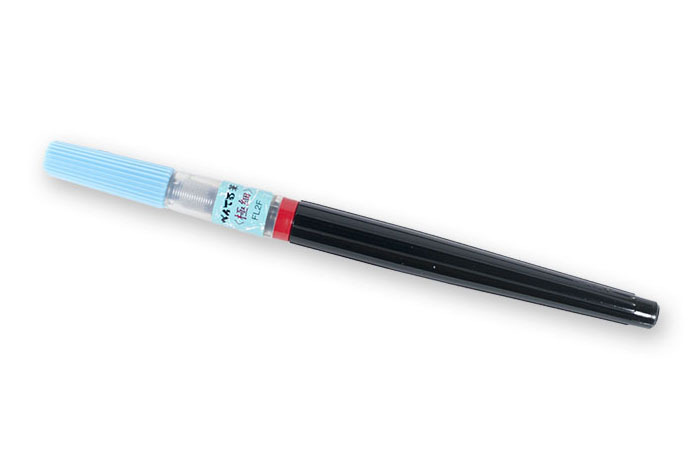 -Thin brush tip is ideal for sensitive artwork and small lettering. 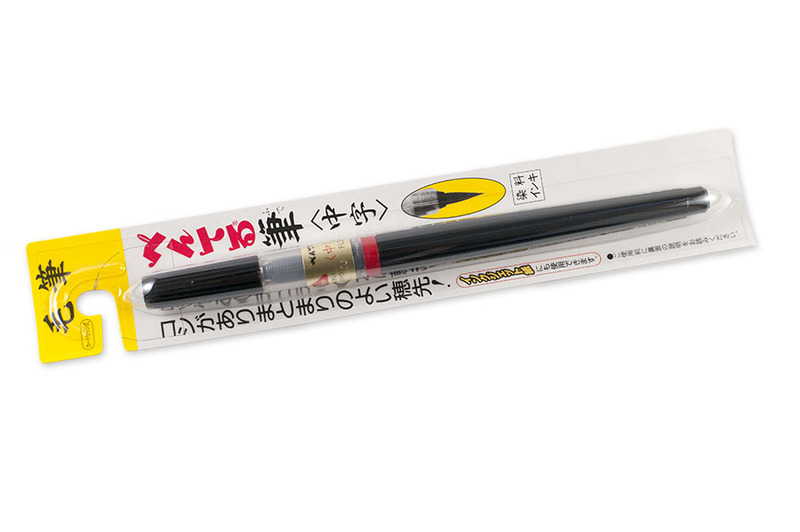 -Create fine to broad lines with a single stroke. 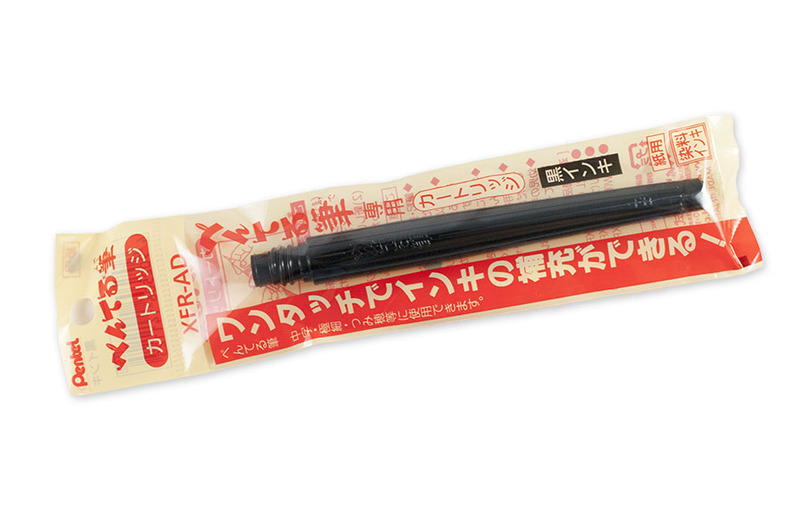 -Refills for Pentel Pocket Brush Pen for Calligraphy. 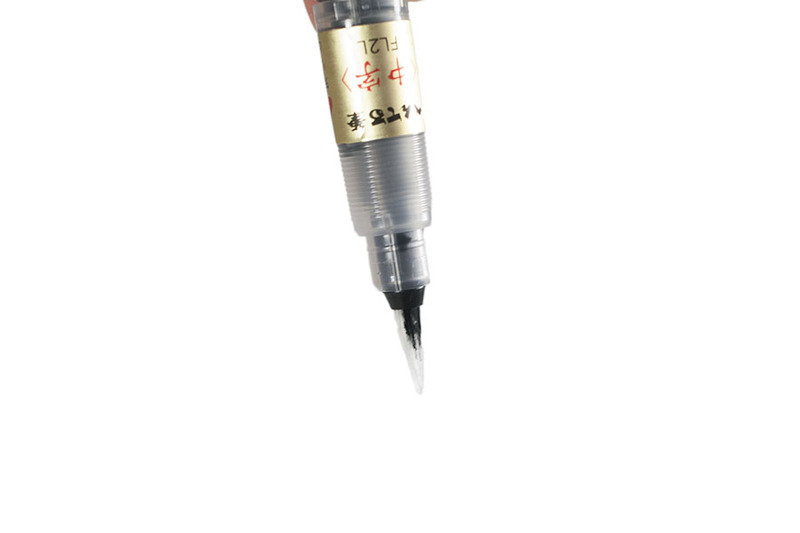 -A red ring between the reservoir half of the pen and the brush half is removed, and when the two parts are screwed back together, the reservoir is punctured, allowing ink to flow to the brush. 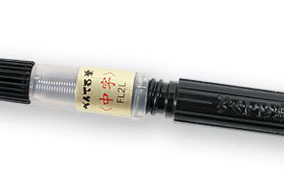 -Squeeze the middle of the barrel slowly and wait till ink comes to the tip. 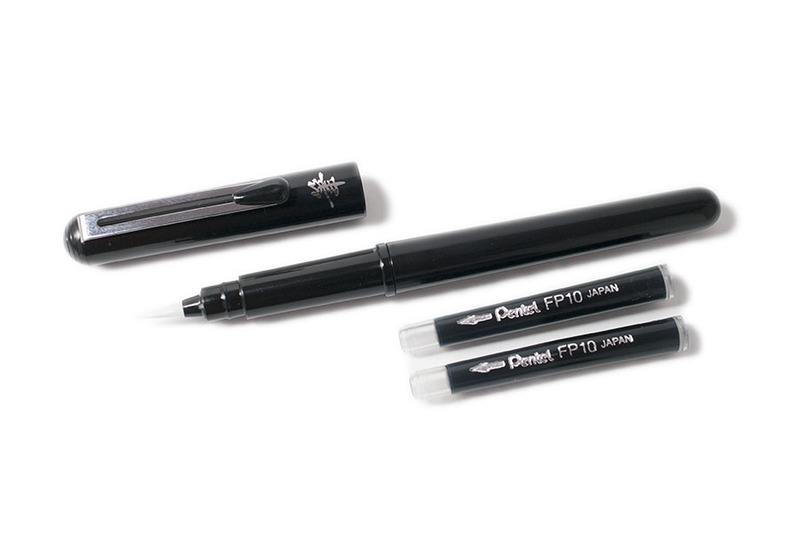 -Please put the paper to avoid the ink drop on the desk or cloths. 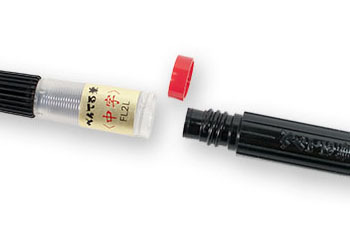 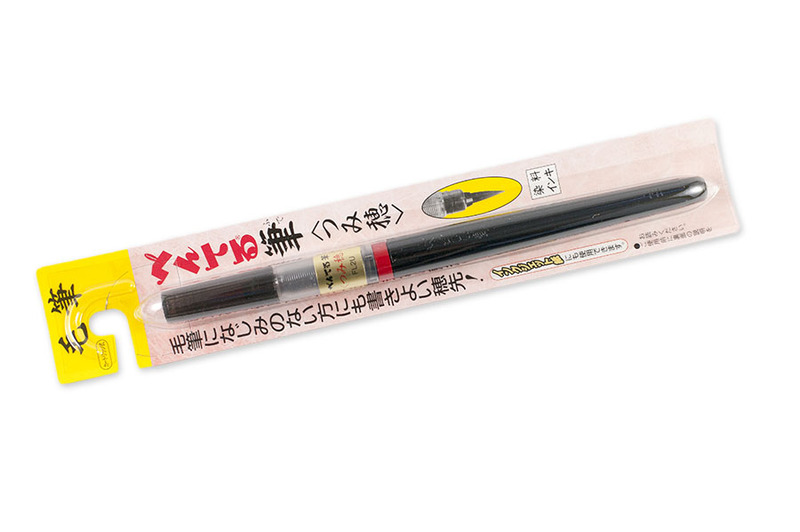 -To force more ink into the brush, squeeze the reservoir barrel. 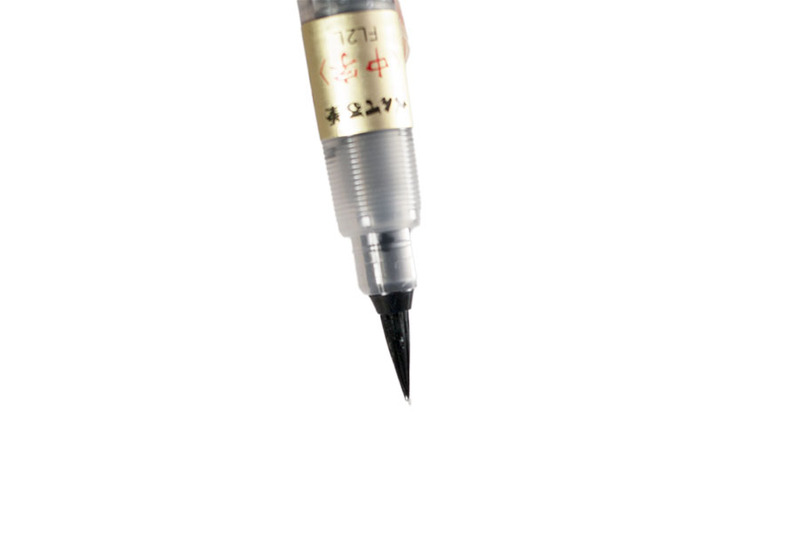 -Normally the gravity alone kept a steady flow going while sketching and painting.